Explosives (Bomb) trace detection technology is used at airports, ports, cargo facilities and at the access control points of critical infrastructure. The goal is to intercept, and to prevent access, by people who have handled explosives. 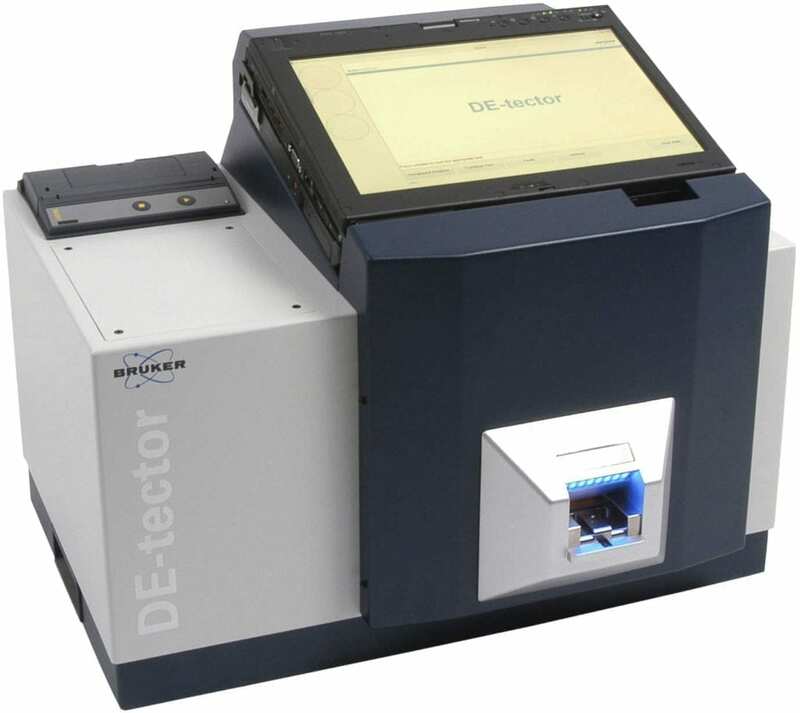 Narcotics trace detection technology is used at the entrances to prisons, remand centres, pop concerts and nightclubs. The goal is to intercept and detain people who have handled narcotics and to identify either users or traffickers of illicit substances. Both explosives (bomb) and narcotics trace detection is used in customs facilities. This meets the requirement to enhance homeland security as well to limit narcotics trafficking. The detection of narcotics is largely predicated on the same principles as that of trace explosives detection. Like explosives, some narcotics such as heroin, barely emit any vapour and can be detected by trace particulate collection. By contrast, methamphetamine has a very significant vapour pressure, and is detected readily by its vapour. The Bruker RoadRunneroffers both vapour-based and swab-based sampling. This enables the system to meet the requirement for detection despite the variation in vapour pressures of the respective narcotic. 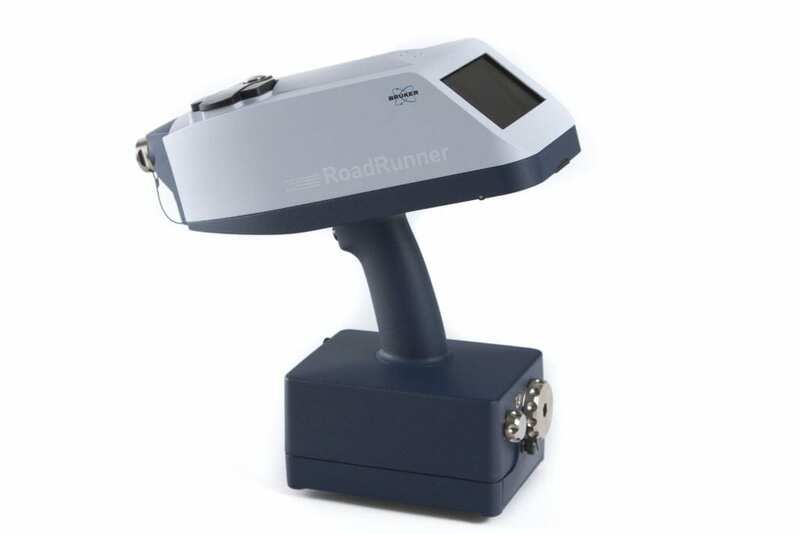 RoadRunner is a handheld, battery operated device for the detection of explosives and narcotics. It is a dual-mode detector capable to accept vapor samples and swab samples as well, which increases flexibility. With a weight of 3,5 kg it is literally a “go anywhere” device. A battery lifetime of 4 hours and the feature of hot-swap battery exchange further expand the usability. The use of a non-radioactive, high energy photon ionization source eases the life of the user since this ionization method does not belong to legislation related to radiation safety. 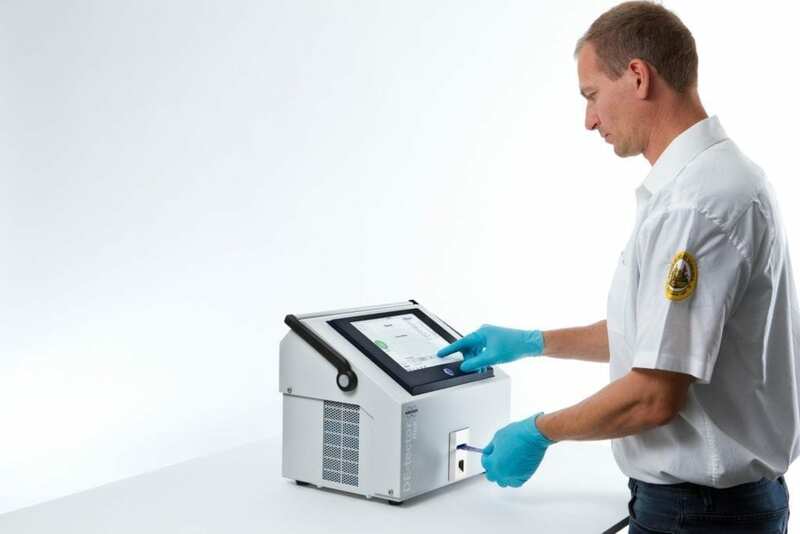 The incorporation of the patented CHIRP-IMS technology provides for the first time the sensitivity of bench-top trace detectors in a handheld design. An automatic internal calibration makes manual calibration and verification steps obsolete and eases the everyday use. DE-tector is a bench top drugs and explosives detection instrument with a non radioactive ionization source and a unique twin-tube design that measures for drugs and explosives at the same time. The rugged and portable instrument is easy to use with a clear touchscreen. It has a smart sample inlet with an intuitive indication and an integrated printer.